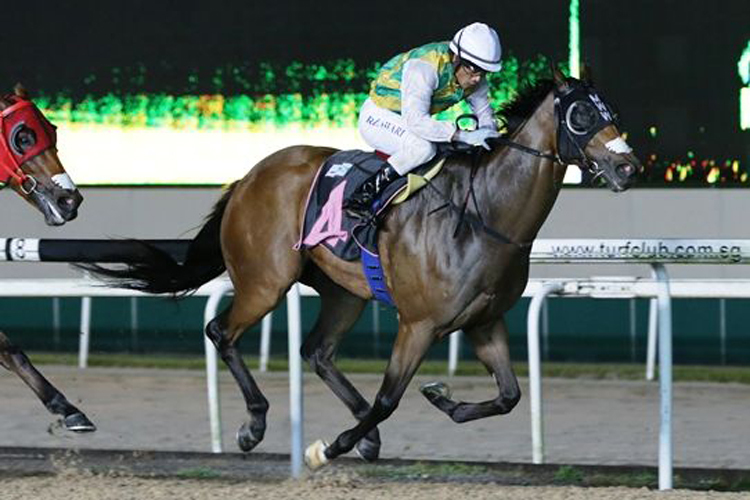 MONGOLIAN CHIEF – In what is a very weak and open-looking race to kick things off on the Friday night, this Leslie Khoo-trained runner has his conditions and with some luck from a poor gate, can run well. MUSCULAR DRAGON – Drawn out in the carpark here but if he overcomes he can be seen to good effect. EVERTRUST – On-pace runner who won over the course and distance in June. Must have decent chance here. EVIL SPEEDO (10) – Might be one to include for value in the quartet. SUPER WIN – This son of Zoustar might well be the way to play in this Restricted maiden. He has looked good in all three trials so far and has a nice pedigree also, being a half-brother to the Listed/Group 3 winner Rodrigo Rose (Group 1-placed) and looks to know his job. Big player. MONTE NERONE – Has moved stables now to Lee Freedman and is back on the Polytrack, having recently scored in a trial (62.21) and has the inside stall to aid his cause here. GOLD PRIZE – Interesting Argentinian-bred newcomer here for Ricardo Le Grange, he has trialled well enough and is a half-brother to Dolore (1400m Listed winner). Would merit respect as Le Grange/Munro have a 33.3% strike rate (last 12 months). MONT CHOISY – Has been freshened up after his debut performance (would have learnt plenty) and can take another step forward here. CHIEF CLERK – Certainly caught the eye when staying on well over 7 f on his local debut last month. An all-the-way 1 1⁄8 m winner at Hawkesbury in Australia this Shane Baertschiger-trained 4yo has trialled well in blinkers since then and this looks an ideal race. GOLD REWARD – In great form currently, having won on the turf last time out and has trialled very well since that effort for a second behind Monte Nerone in 62.21 (was six lengths last at the 3 f), he can once again run very well now up in trip. ANGEL HALO – First Polytrack run was a winning one and had to battle hard for the win over Turf Princess. Would look to have some ‘upside’ on this surface and is one to include in multiples. SONORAN (12) – Could be one to include at odds here, he has shown much more in his latest two starts to suggest this trip with a light weight will suit well. O’REILLY STAR – Vastly-improved this prep. Low gate. Knocking on the door and will be among the swoopers late. SHAHBAA – Improved out of sight second-up. Steamed home from near-last only to be denied by another roughie in Warrior King. On that form, commands plenty of respect, especially with another 1 f. Marble one. MAI DARKO – Should be able to roll from the wide barrier to find the lead. Can hang on for a place. LUCKY RED (11) – Give him an outside chance. Has not had much luck at the barriers and has again drawn wide, but he seems to race more settled without the blinkers Keep safe. HOOGA NET – In a race that lacks a bit of strength in depth, Hooga Net should cope with the drop back in distance and can prove too good. SILVER SKY – A course and distance winner over Bull N Rum (second since) last month and was hitting the line strongly on that occasion. Can go nicely in this. HIGH STREET (10) – Connections looking to strike while the iron is hot with this 6yo having landed a Class 5 a week ago. Looked good when winning and although up in grade, he can figure. SWEDISH MEMORIES – Better from the front and if running to his June form he wouldn’t be without a say here. JUPITER GOLD – Comes into this affair fresh from winning the Singapore Derby. Isn’t ideally placed over the journey but is capable of sprinting well first-up. Commands respect. ELITE INVINCIBLE – Comes into this affair fresh from finishing runner-up in the Singapore Derby. An honest customer who finds a suitable race to perform in first-up. Serious contender. BIRAZ – Consistent performer who has developed a serious record and appears to still have upside to improve. Needs luck from the wide alley but must be considered in this affair. AUGUSTANO – Lightly raced sprinter who somewhat disappointed last start but can make amends in a suitable affair. Isn’t ideally drawn but must be included in the mix. ACROSS THE SEA – Has been running well in Class 4 Non Premier company of late and this represents a slight ease in grade for him. PAPERBACK TROOPER – Was a $12 failure last time out when well supported when racing off the same mark (49). Well drawn and looks one to keep onside. SACRED MAGIC – In good order, having caused an upset early last month at $393 and proved that was no fluke with a solid run in defeat last time out. One to include. RICH FORTUNE – Struggles to back up one good run with another normally, but is a last-start winner, so should be included. DISTINCTIVE DARCI – Very much the class horse in the race. Having missed the start completely last time out, he ran home extremely well under 131lbs to be a close second behind Rafaello, a Group 2 winner and with a proven record when carrying big weights, he would look the one to beat. SIR ISAAC (10) – A very good second last time out behind a race-fit rival in Silkino considering he has not run for five months. This Cliff Brown-trained galloper has a handy record on the surface and with the luxury of a featherweight on his back, he must be taken seriously here. CAPTAIN JAMIE (11) – Third in the Singapore Guineas and is now clearly enjoying a return to sprint trips having got his head in front last time out over 6 f. He won his most recent trial in 60.26 and would have to rank highly in this contest. OLYMPIC ANTHEM – Need a lot to go for him usually but is more than capable of running a big race here. GOLDEN FLAME – Would look to have the most progression of any of these in this race. Second behind the ridiculously well-handicapped Autumn Assault last time out and it would seem trainer Young Keah Yong has found an ideal opportunity for his charge. LIM’S SINCERE – Conditions suit and is now back into Class 4 company. Has a good draw and would require a market check. Big watch. LADRONE – Needs to lead on his terms and last time out, so nearly pulled it off. Just found stablemate too good. In form and can go well. REACH FOR THE SUN – Just behind the selection on their last meeting. Still off a competitive mark, but can sneak into the minors.